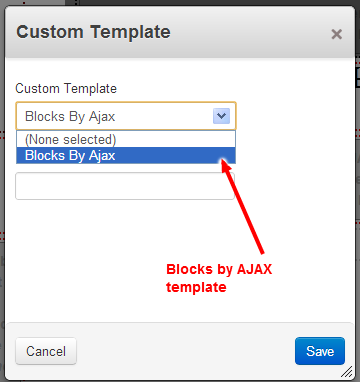 Get Universal Content Puller and Blocks by AJAX together in AJAX Anything for a bargain price. 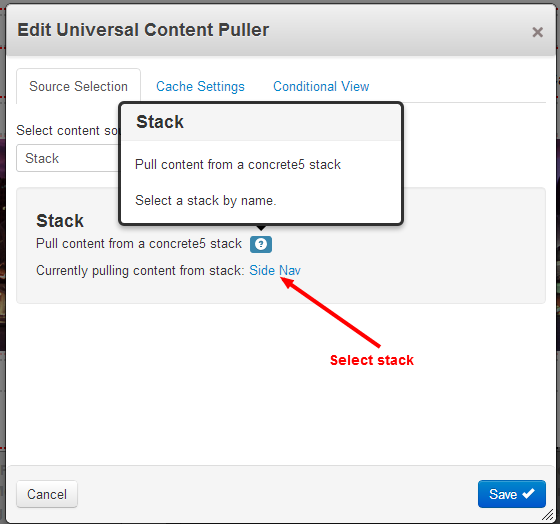 Almost every aspect of Universal Content Puller is expandable through a plugin architecture. In addition to content sources, other pluggable areas include how content is listed and wrapped for display. Through integration with further addons the plugin list is growing rapidly, so check to see the latest plugin list. 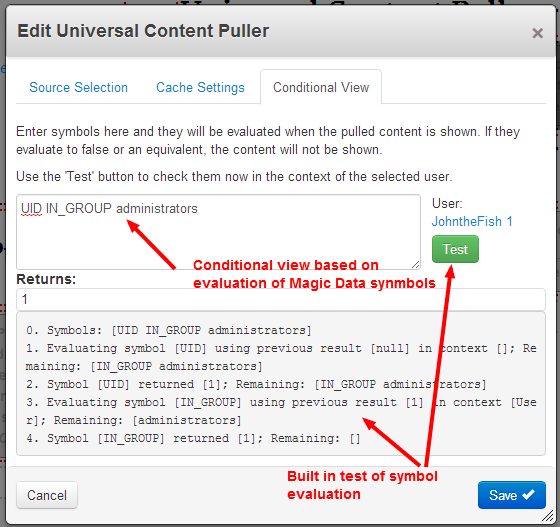 For developers considering extending Universal Content Puller, the Universal Content Puller Developer addon provides tools to expose data structures, learn how Universal Content Puller works, and assist with development. 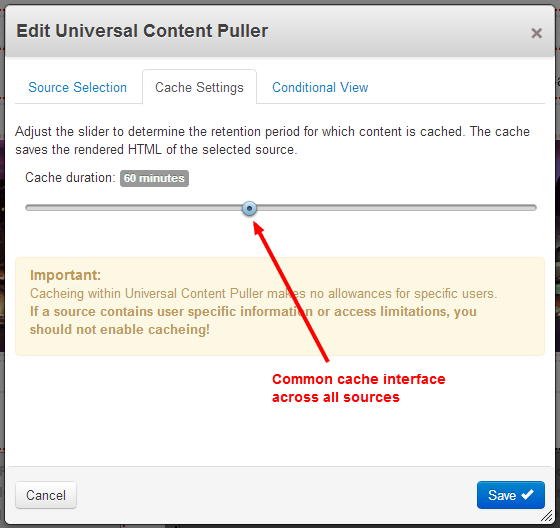 Universal Content Puller wrappers are like templates on steroids. 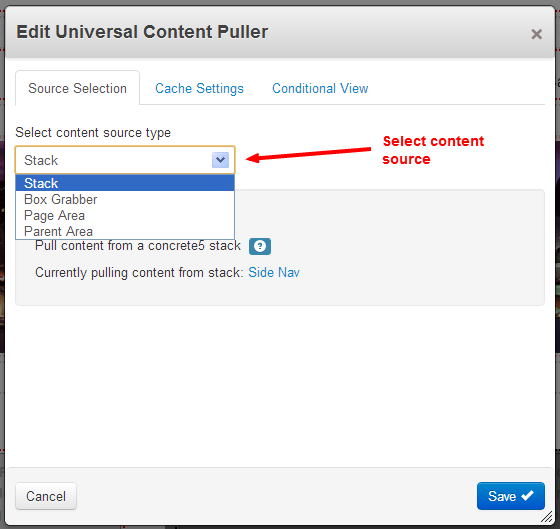 Take great templates from other blocks and wrap them round the content pulled with Universal Content Puller. This addon comes with a wrapper to use any template from the regular concrete5 content block. 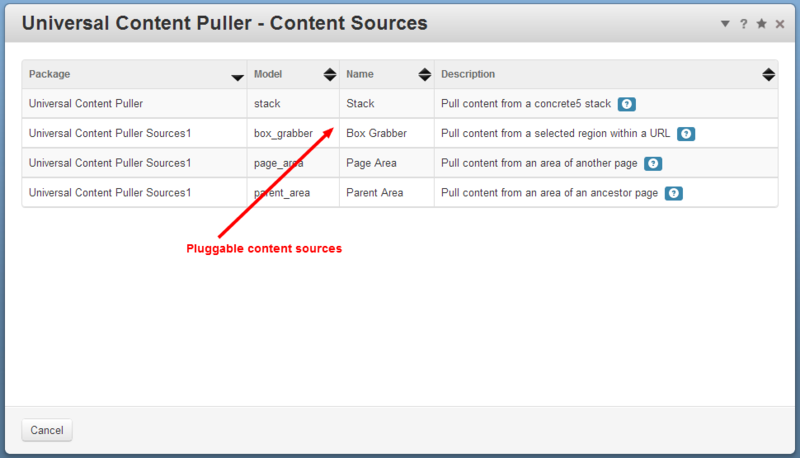 Additional plugin wrappers are available to wrap Universal Content Puller with Formigo Containers and Magic Tipple. Magic Tipple even provides a wrapper to pull content into a Fancybox popup. Tipple Wrappers - Wrap any content pulled with Universal Content Puller with stylish tipple formatted wrappers. Great for call to action or anything you want to jump out of the page. Get popup tips from Magic Tipple to boot!. Extend the capabilities of Formigo Containers to wrap a container round any content source. (Note: requires Universal Content Puller to be purchased separately) with Formigo Containers Plus. Container Anything - Everything you need to wrap absolutely anything in a stylish Formigo Containers template with Universal Content Puller, all in one bundle. Container and Ajax Anything - Everything you need to wrap absolutely anything in a stylish Formigo Containers template with Universal Content Puller and even lazy load it with Blocks by AJAX, all in one bundle. From version 1.6 this addon is compatible with php7. To update a site to php7 you will need to make core updates (at time of writing only on github and not released). You will also need to ensure that other addon packages are php7 compatible.